In part I of God’s Heart for the Nations, we saw God’s heart for the nations, and how reaching the nations is part of God’s ultimate plan. In part II of God’s Heart for the Nations, we saw how the Father initiates in the choice of Israel to begin the process of redemption. In part III of God’s Heart for the Nations, we saw how the Son accomplished the work of reconciliation. In this final part, we’ll layout briefly how the Holy Spirit applies that reconciliation to us, and empowers us to fulfill God’s plan. Regardless of skin color, flag, economic condition, gender, nationality, the people from every nation, tribe, people and language will be in worship. We will enjoy the presence of those from Columbia, from Russia, from Australia to Uganda. From Canada to Argentina. Israelis who worship Jesus, Saudi’s who worship Jesus. 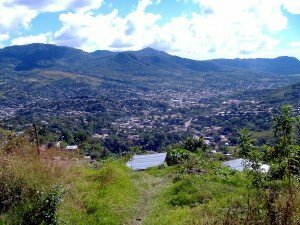 Looking at world events, how does one get beyond ethnic slaughter, genocide, and other atrocities before reaching God’s goal of History? The disciples were unable to transform the world. Then Jesus came to them and said, “All authority in heaven and earth has been given to me. 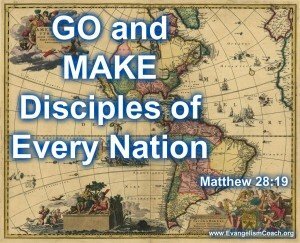 Therefore, go and make disciples of all nations, baptizing them in the name of the father, and of the Son and of the Holy Spirit, and teaching them to obey everything that I have commanded you. And surely, I am with you always, to the very end of the age. But they couldn’t do it. How would a little rag tag band of 11 disciples reach the nations, going, making, baptizing, and teaching?
. . . so that you may be my witnesses to Jerusalem, Judea, Samaria, to the ends of the earth. The Holy Spirit empowers us to participate in God’s plan of drawing the nations to that day when the all the saints will worship. On that day of Pentecost, it was a multi-national gathering. The Nations had already gathered for a different reason. The Holy Spirit was poured out, and the people heard the praises of God in their own language. God was glorified. It was a foretaste perhaps of Revelation 7:9. On the day when the Holy Spirit was poured out on the church, the nations heard the praises of God. We are to be a blessing to the Nations. 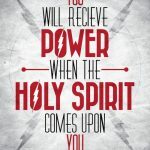 . . . .
We have received the Holy Spirit within us at conversion. 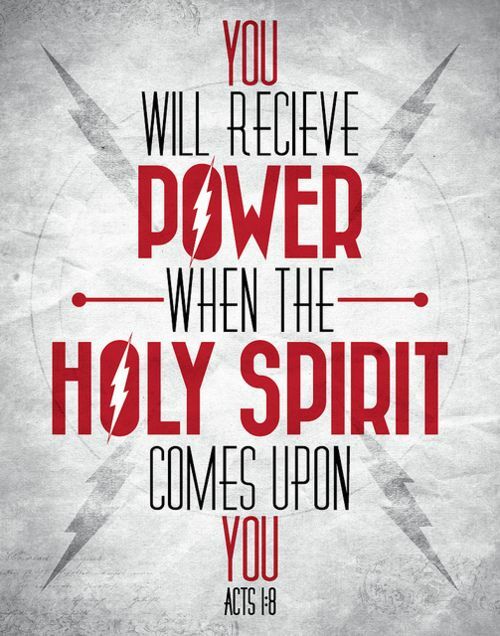 Some of us have received the empowerment of the Holy Spirit upon us to be equipped for ministry. We are not filled with the Holy Spirit so that we can feel stoned in the presence of Jesus. We are filled to be a witness to the ends of the earth. Back to the Father’s Heart for the Nations. We are back at the beginning. 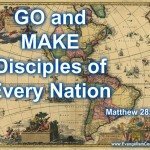 The Father has worked his plan to pursue the nations. Christ accomplished what the Father has desired. The Holy Spirit applies that work of Christ, and empowers us to participate in God’s plan for the redemption of nations. A whole Christ for my salvation, a whole Bible for my staff, a whole Church for my fellowship, a whole world for my parish. use us to declare your salvation to the people of the earth. Lord, use us to lead them to the cross. send us forth to lead them to the cross. “Heart for the Nations” by Martin Nystrom and Gary Sadler. 1994 Integrity’s Hossanna! Music/ ASCAP. Spend a few moments in prayer, asking God for His heart for the nations. Salvation is not about you. He wasn’t thinking of “you, above all.” Rather, God wants to use you in His plan to reach the nations.